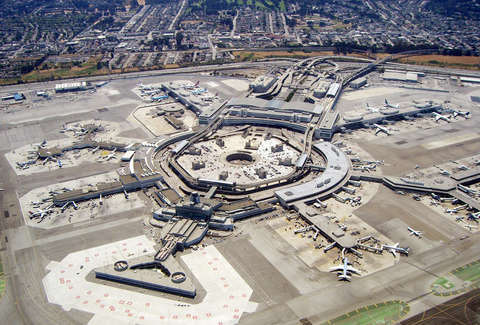 Yes, LAX is the worst airport in the known universe, and don't even get us started on JFK -- but even so, neither of the Bay Area's closest-to-SF travel hubs are exactly a point of pride for the city. And that's exactly why we put together this list of hacks for both airports, which will -- at the very least -- make them a point of... not-terribleness. Really, this is a thing now: with RelayRides and FlightCar you can rent a car that someone left at the airport (SFO or Oakland International), or, conversely, earn some extra cash by renting out your own car while you’re away. If you don't have a friend with a car, and don't want to deal with BART, these are both kinda the best options ever for getting home. 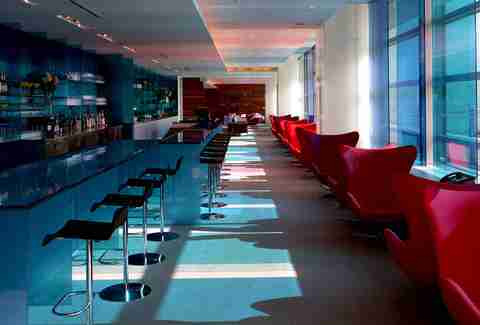 Though they won't advertise the fact, several of the airline lounges at SFO offer one-day passes for $50, even if you're just a curious lowly main cabin flyer looking for a pre-flight swig of Chardonnay. This includes the Delta Sky Club (Terminal 1, pre-security), American Airlines Admirals Club (Terminal 2, post-security), and United Airlines United Club (Terminal 3 & International, post-security). Only one borders on being worth the cost of entry: if you're flying Virgin America, sign up for the Elevate frequent flyer club (free), and you can purchase a $40 day pass at SFO's snazziest lounge, the Virgin Atlantic Clubhouse in the International Terminal, where you can get unlimited free drinks and snacks. Again, for $40. SFO has this new thing called the #Converge@flySFO Lounge in the International Terminal. No average business lounge, this space is set aside for "sharing ideas about technology" by giving you free Wi-Fi, tables, chairs, power outlets, a white board, and a magnetic chalk board -- just as you'd expect any room with a name that’s a hashtag with an "@" symbol and strange capitalization might. Best bet? Uh... "SFO FREE WIFI". 5. There's a free... yoga room? If flying makes your blood pressure rise, SFO is there to rub your shoulders. The world’s first airport-based yoga room in SFO's Terminal 2 is closed temporarily while the Terminal 2-3 connector is being built, but an additional yoga room is up and running in Terminal 3. Freshen up with a shower (they have showers??) at the aptly named FreshenUp. And wherever you are, keep an eye out for the Wag Brigade -- because, naturally, SFO wants stressed travelers to pet puppies. Just stand in the center of the court at Boarding Area D at the end of the Terminal 2 pier and you'll be surrounded by the best post-security food options at SFO (in the recently renovated Terminal 2, where you'll be if you fly Virgin or American). And these aren't just not-that-bad-for-airport-food bests: there's a Cat Cora, a Lark Creek Grill, a Plant Cafe Organic, and a Pinkberry. 7. 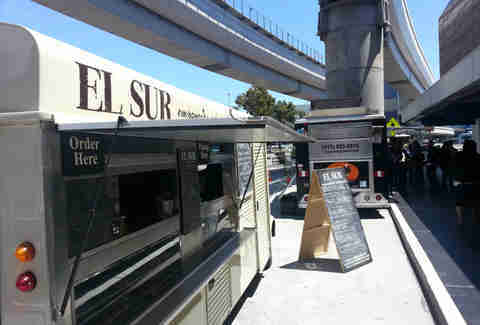 Whoa, SFO has food trucks?? San Francisco Japanese standby Ebisu is arguably the best bite before you get through security, but there’s competition: food trucks from Off the Grid have joined the scene, showing up for Thursday lunches by Terminal 1. 8. There's a secret security line. Use it. At SFO, security lines are all essentially created equal, and, given the limited post-security connections between terminals, it’s generally not worth running around to find the shorter line. Instead, enroll in TSA PreCheck (also available at Oakland International) or CLEAR to zip through the lines. 9. 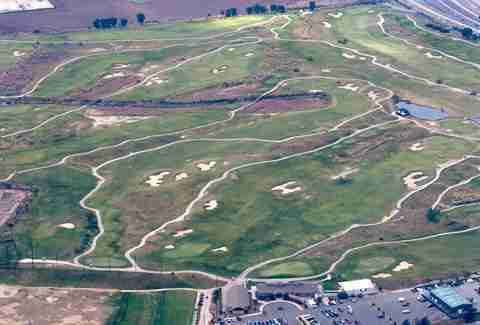 Oakland International has an attached golf course. No, really. How many airports have an attached golf course? Oakland does. And no need to pack your irons when you play at Metropolitan Golf Links -- club rentals are free. 10. Delayed at SFO? Take the free In-N-Out shuttle. Aka The Westin San Francisco Airport shuttle. The hotel is literally a two-minute shuttle ride from the airport, and 11 Rollins Rd is just a 10-minute walk from there, which means that, in less than 30 minutes, you can be back at SFO, eating an Animal Style Double Double. Andy Murdock is a Bay Area travel writer who might occasionally be found eating at the secret SFO food truck by the taxi queue in the domestic parking garage. Follow him on Twitter.